* These 3D Raised Registration numbers are pre-made and pre-spaced on one single transfer tape -- ready to apply! * Pre-spacing is offered at no extra charge. 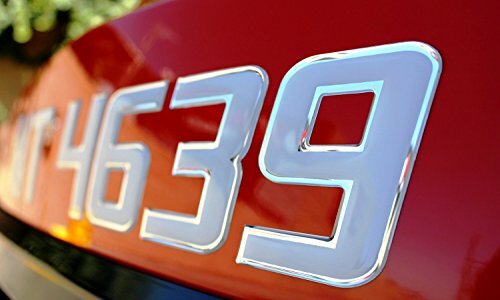 Forget the headache of trying to space and stick each individual number and letter, or do it yourself domed products * These are High Quality 3-Dimensional Domed Decals & Chrome Emblems*These Letters are not ordinary paper or Vinyl decals! All domed Letters are preped with a very thick urethane Super Clear coating which is the same material many manufacturers use for factory emblems * These Letters and Numbers are Marine Grade, high adhesive, completely Smooth and have a Super High Gloss Urethane Finish, which makes them very durable, weatherproof, and UV resistant. They are very flexible and have a High Aggressive Bond Waterproof mounting adhesive, highest quality available in the market. Used as the factory emblems on all major boat manufacturers. Easy Installation, just clean mounting surface, then peel off the back, and place your sticker in desired place. * Can be used on interior or exterior flat surfaces only. Ambassador products offer the convenience and comfort you're accustomed to at home, with added quality necessary to withstand harsh environments. 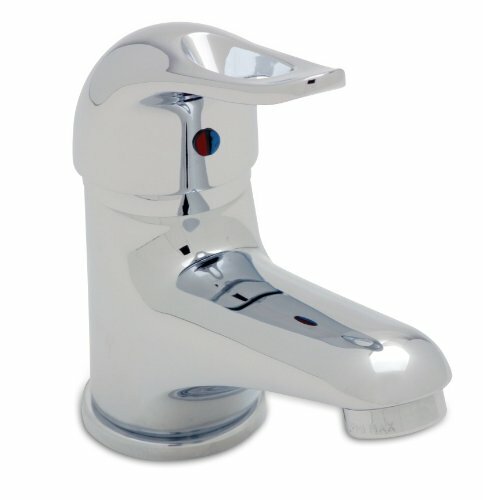 Designed for the marine customer, all Ambassador faucets, showers and accessories carry added features such as stainless steel hardware, extended nickel-plating bath and state-of-the-art chroming process, ensuring long lasting quality and satisfaction. 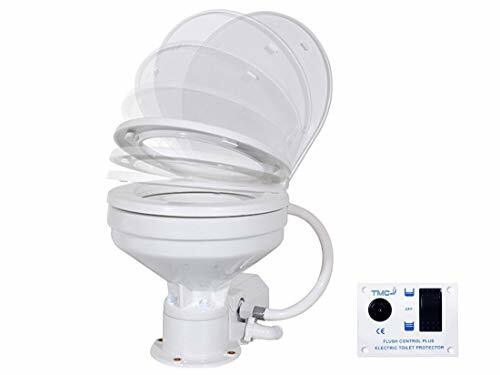 Popular worldwide for more than two decades, Jabsco s sturdy manual toilet ensures peace of mind thanks to the intuitive, simple to use Twist n Lock feature. 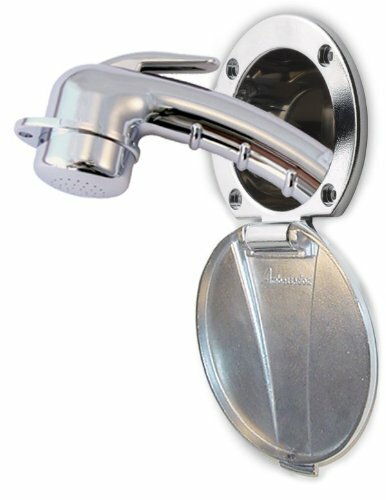 It provides protection against siphonic flooding and waste backflow with one easy, 90 turn of a handle. The toilet is available with a regular or compact size bowl. Flexible design makes it suitable for either overboard or holding tank discharge. Ambassador products offer the convenience and comfort you're accustomed to at home, with added quality necessary to withstand harsh environments. 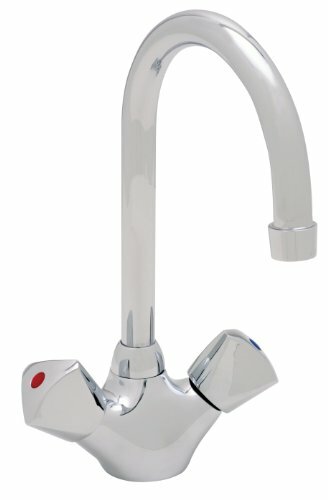 Designed for the marine customer, all Ambassador faucets, showers and accessories carry added features such as stainless steel hardware, extended nickel-plating bath and state-of-the-art chroming process, ensuring long lasting quality and satisfaction. 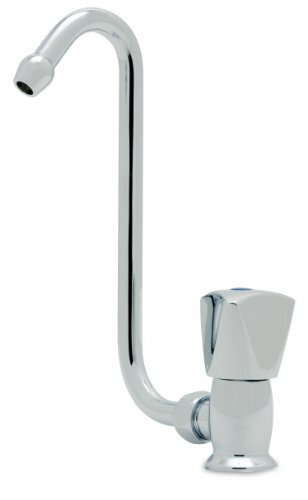 Ambassador faucets are made with marine grade brass and include all necessary installation hardware. 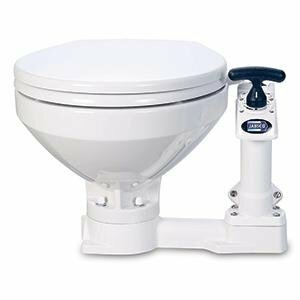 This TMC electric toilet base kit replaces the pump assembly of a wide range of boat marine heads to make flushing push-button easy. 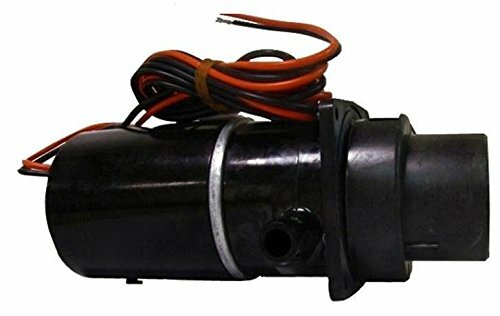 The kit includes everything you need to convert the head and features sealed permanent magnet type motor. 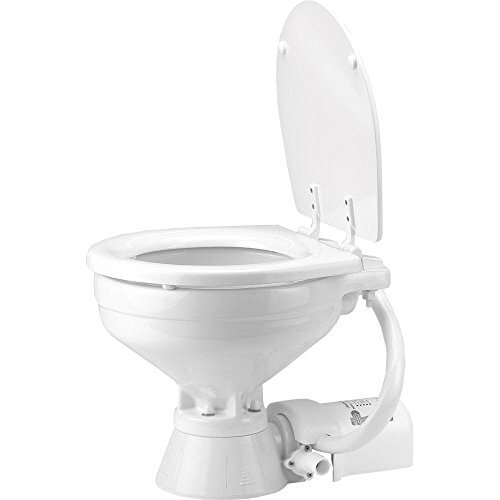 Designed to fit on all TMC electric toilets, Jabsco, Raritan PH/Compact, Wilcox Crittenden "Head Mate", Groco HC, SeaLand 750 Series, or PAR 29090/29120 Series. 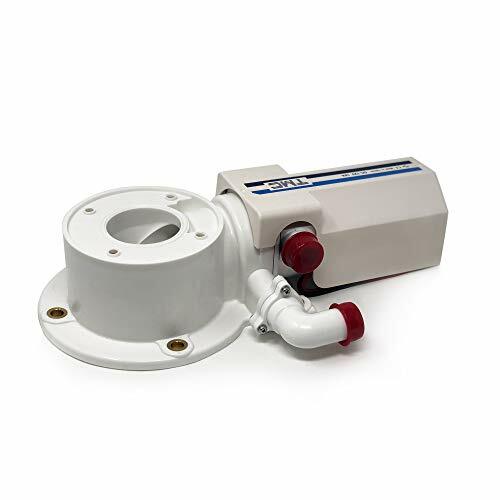 A stainless corrosion resistant steel shaft drives the built-in self-priming flexible impeller flush pump to offer a vertical lift of up to 25". 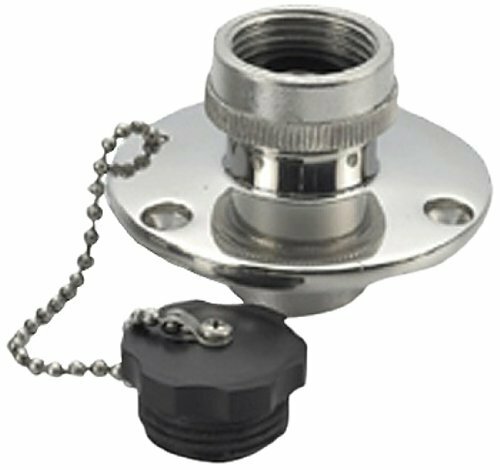 Includes a heavy-duty pushbutton, 3/4" to 1" inlet and 1" to 1 1/2" discharge hose adapter. 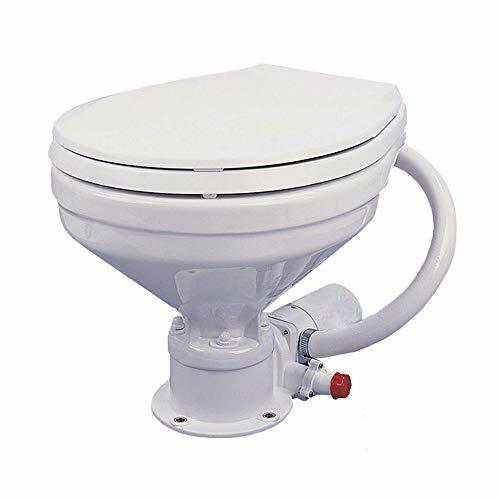 FO-2420 Inlet Vented Loop for Marine Toilet, 3/4"
FO-2421 Outlet Vented Loop for Marine Toilet, 1"
FO-1863 White Nylon Thru-Hulls with stud for hose, 3/4"
FO-2558 White Nylon/Stainless Steel Thru-Hulls with stud for hose, 3/4"
FO-2556 White Nylon/Stainless Steel Thru-Hulls with stud for hose, 1"
FO-2995 Black Nylon/Stainless Steel Thru-Hulls with stud for hose, 3/4"
FO-2996 Black Nylon/Stainless Steel Thru-Hulls with stud for hose, 1"
REPLACEMENT Convertion Kit for TMC Electric Toilets and Designed to fit on all TMC electric toilets, Jabsco, Raritan PH/Compact, Wilcox Crittenden "Head Mate", Groco HC, SeaLand 750 Series, or PAR 29090/29120 Series. 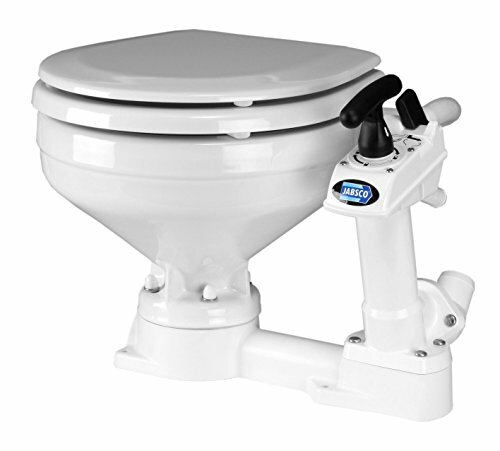 This TMC electric marine toilet comes with a compact white vitreous china bowl that's furnished with a standard household type seat and lid. 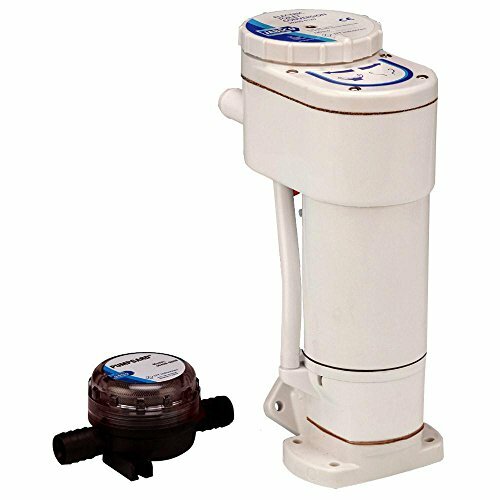 With the simple push of a button, the self-priming flush pump rinses the bowl as the macerator and high capacity scavenger pump grinds up waste and pumps it out. 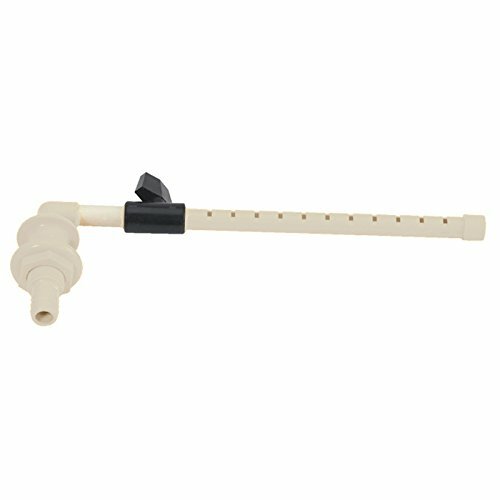 Includes a heavy-duty pushbutton, 3/4" to 1" inlet and 1" to 1 1/2" discharge hose adapter. Easy-to-clean china bowl. To keep the best priming condition, TMC would suggest it's better to keep water source close, and the water pump inlet should not be more than 25" above water level. Note: This particular toilet can be installed above or below sea level in any boat. In addition, an external macerator pump is not needed. Spray Head Assembly Spray Head Assembly. The overall length 12-3/4 inch, 3/4 inch thru hull, one shut-off valve. Spray Head Assembly Spray Head Assembly. 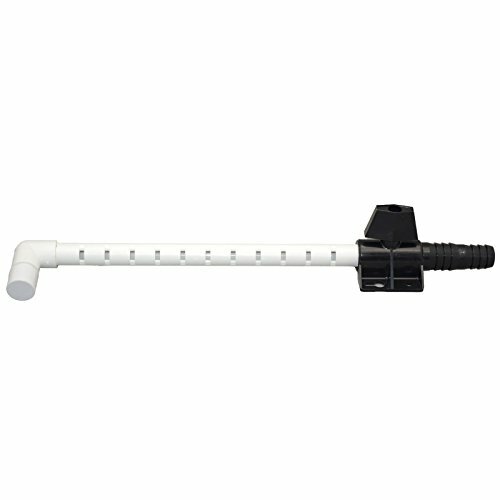 The overall length 13-1/4 inch 3/4 inch barb, one shut-off valve with mounting bracket. This marine toilet comes complete with a slow closing seat. A dual- function pump eliminates the need for hand pumps and dry-bowl valves. 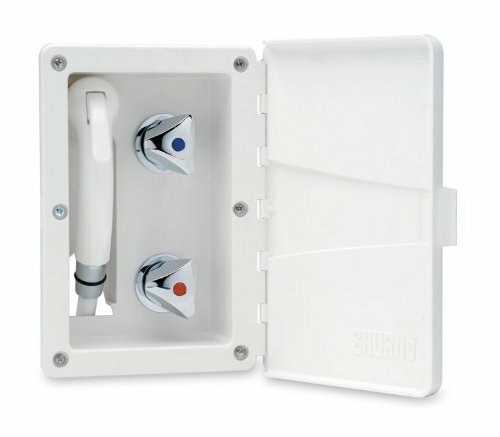 With the push of a button, the self-priming flush pump rinses the bowl as the macerator and high-capacity scavenger pump grind up waste and pump it out. 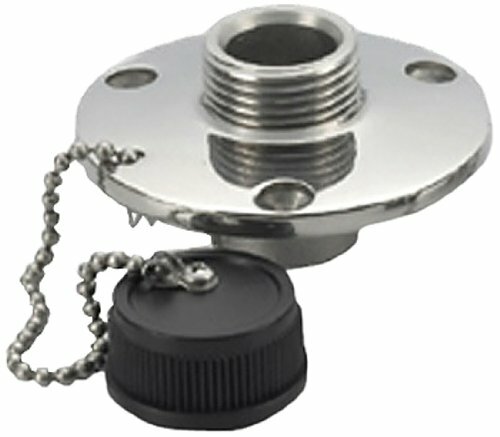 Includes a heavy-duty pushbutton, 3/4" to 1" inlet and 1" to 1 1/2" discharge hose adapter. Easy-to-clean china bowl. To keep the best priming condition, TMC would suggest it's better to keep water source close, and the water pump inlet should not be more than 25 above water level. Note: Standard installation is not allowed with pressurized water installations. In this case, you need to install a solenoid valve. For extra safety and peace of mind the intuitive, simple to use, Twist 'n' Lock action handle guards against syphonic flooding and waste backflow With one easy 90 turn of the handle, the lock is applied Turning the handle back to the natural operating position opens the lock again Stylised luxury wooden seat and cover with tough baked enamel coating Hygienic pure white vitreous china bowl for ease of cleaning Jabsco is the world's largest manufacturer of small craft marine toilet systems, all their experience has been applied into this latest manual toilet refining the design that is used by nearly all boatbuilders worldwide.